Poetic diction is the term used to refer to the linguistic style, the vocabulary, and the metaphors used in the writing of poetry. In the Western tradition, all these elements were thought of as properly different in poetry and prose up to the time of the Romantic revolution, when William Wordsworth challenged the distinction in his Romantic manifesto, the Preface to the third (1802) edition of Lyrical Ballads (1798). Wordsworth proposed that a "language near to the language of men" was as appropriate for poetry as it was for prose. This idea was very influential, though more in theory than practice: a special "poetic" vocabulary and mode of metaphor persisted in 19th century poetry. It was deplored by the Modernist poets of the 20th century, who again proposed that there is no such thing as a "prosaic" word unsuitable for poetry. Aristotle: "A certain admixture� of unfamiliar terms is necessary". The Prose Edda, an Icelandic poetic diction manual: "Woman should be periphrased with reference to all female garments". In some languages, "poetic diction" is quite literally a dialect usage. In Classical Greek literature, for example, certain linguistic dialects were seen as appropriate for certain types of poetry. Thus, tragedy and history would employ different Greek dialects. In Latin, poetic diction involved not only a vocabulary somewhat uncommon in everyday speech, but syntax and inflections rarely seen elsewhere. Thus, the diction employed by Horace and Ovid will differ from that used by Julius Caesar, both in terms of word choice and in terms of word form. Germanic languages developed their own form of poetic diction. In Anglo-Saxon and Old Norse, poetry often involved exceptionally compressed metaphors called "kennings", such as whale-road for "the sea", or sword-weather for "battle". Also, poetry often contained riddles (e.g. the Gnomic Verses in Anglo-Saxon). Therefore, the order of words for poetry as well as the choice of words reflected a greater tendency to combine words to form metaphor. In Japanese poetry, the formal rules for writing haiku and renga require that each poem include a reference to a specific season of the year. This linking is achieved by using season-words called kigo, and Japanese poets regularly use a Saijiki, or kigo dictionary that contains lists of words and examples of their use. In the 18th century, pastoral and lyric poetry both developed a somewhat specialized vocabulary and poetic diction. The common elision within words ("howe'er" and "howsome," e.g.) were not merely graphical. As Paul Fussell and others have pointed out, these elisions were intended to be read aloud exactly as printed. Therefore, these elisions effectively created words that existed only in poetry. Further, the 18th century saw a renewed interest in Classical poetry, and thus poets began to test language for decorum. A word in a poem needed to be not merely accurate, but also fitting for the given poetic form. Pastoral, lyric, and philosophical poetry was scrutinized for the right type of vocabulary as well as the most meaningful. Joseph Addison and Richard Steele discussed poetic diction in The Spectator, and Alexander Pope satirized inappropriate poetic diction in his 1727 Peri Bathos. William Wordsworth: "There will also be found in these volumes little of what is usually called poetic diction". "There will also be found in these volumes little of what is usually called poetic diction; I have taken as much pains to avoid it as others ordinarily take to produce it; this I have done for the reason already alleged, to bring my language near to the language of men, and further, because the pleasure which I have proposed to myself to impart is of a kind very different from that which is supposed by many persons to be the proper object of poetry." Unnerve thy vigour, and enchain thy powers? At the same time, Wordsworth himself, and Coleridge had an interest in the archaisms found in the border regions of England and introduced dialect into their poetry. While such language was "unnatural" to the London readership, Wordsworth was careful to point out that he was using it not for an exotic or elevated effect, but as a sample of the contemporary "language of men", specifically the language of poor, uneducated country folk. On the other hand, the later Romantic poet John Keats had a new interest in the poetry of Spenser and in the "ancient English" bards, and so his language was often quite elevated and archaic. Modernism, on the other hand, rejected specialized poetic diction altogether and without reservation. Ezra Pound, in his Imagist essay/manifesto A Few Don'ts (1913) warned against using superfluous words, especially adjectives (compare the use of adjectives in the 18th-century poem quoted above) and also advised the avoidance of abstractions, stating his belief that ' the natural object is always the adequate symbol'. Since the Modernists, poetry has approached all words as inherently interesting, and some schools of poetry after the Modernists (Minimalism and Plain language, in particular) have insisted on making diction itself the subject of poetry. English translation by Ingram Bywater (1920). English translation by Arthur Gilchrist Brodeur (1916). Wordsworth wrongly attributes the passage to Samuel Johnson; it is actually by Anna Williams (1706�1783), from her Miscellanies in Prose and Verse, 1766. Appendix to Wordsworth's Preface, "By what is usually called poetic diction." Eliot, T. S. The Sacred Wood: Essays on Poetry and Criticism. London, 1920. Fussell, Paul. Poetic Meter and Poetic Form. New York: Random House, 1965. Holman, C. Hugh, Harmon, William, eds. A Handbook to Literature. New York: Macmillan Publishing, 1986. Pound, Ezra, ABC of Reading. London: Faber, 1951 (first published 1934). Sturlusson, Snorri. 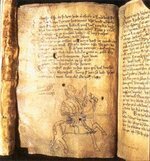 The Prose Edda of Snorri Sturlusson; tales from Norse mythology. Jean I. Young, trans. Berkeley: University of California Press, 1964.